At East Bay Brain & Spine we strive to keep you informed about the latest developments in the neurosurgical world — as well as information about our practice. 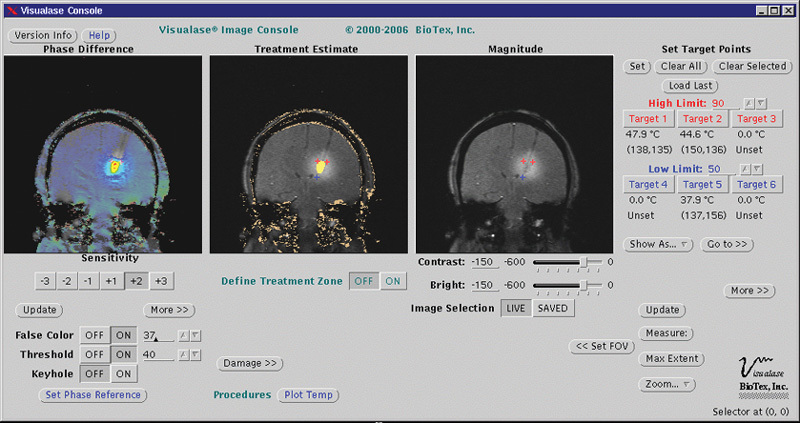 In partnership with John Muir Medical Center, Dr. Max Merkow performs treatment of brain tumors with the Visualase laser system. 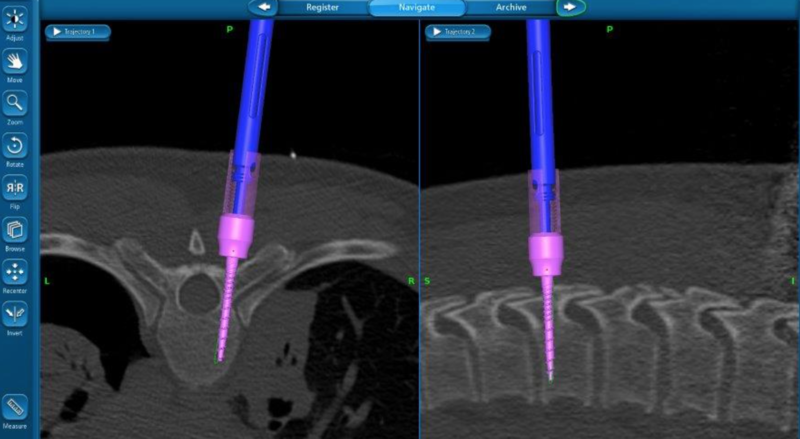 By using a “GPS” imaging map, he places a 1.65mm diameter catheter into the tumor. Dr. Merkow then monitors the ablation (controlled destruction) of the tumor in real-time via an MRI machine. This treatment is particularly well-suited for tumors deep in the brain or tumors that metastasize from other parts of the body. The incision is typically closed with a single stitch and patients spend one night in the hospital before going home. 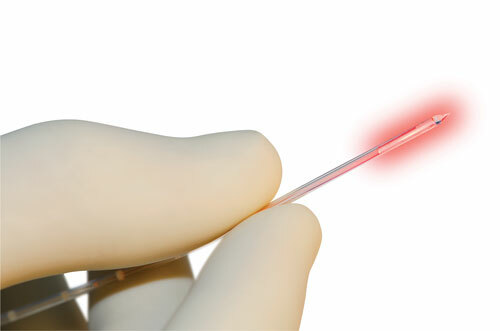 The laser catheter technology is one more addition to the fight against brain cancer. Dr. Merkow is proud to be the first and only surgeon in the East Bay offering this treatment. 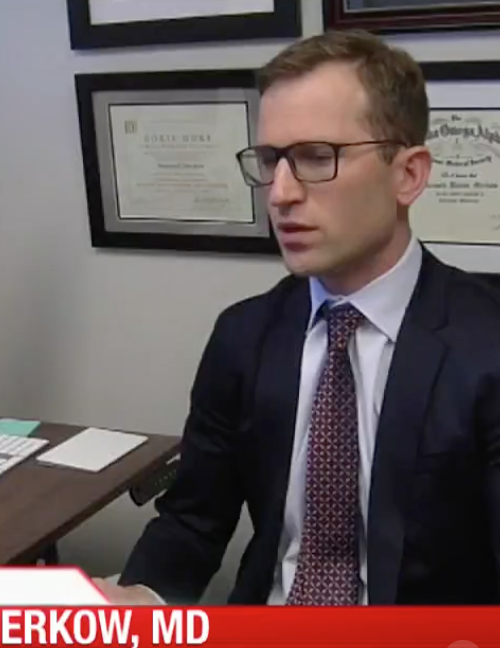 Dr. Merkow was featured today in a KRON4 news story about deep brain stimulation in the East Bay. He explains that this procedure can improve the lives of many patients with Parkinson’s Disease and essential tremor. Vicki Goodwin graciously discusses her experience undergoing the procedure. 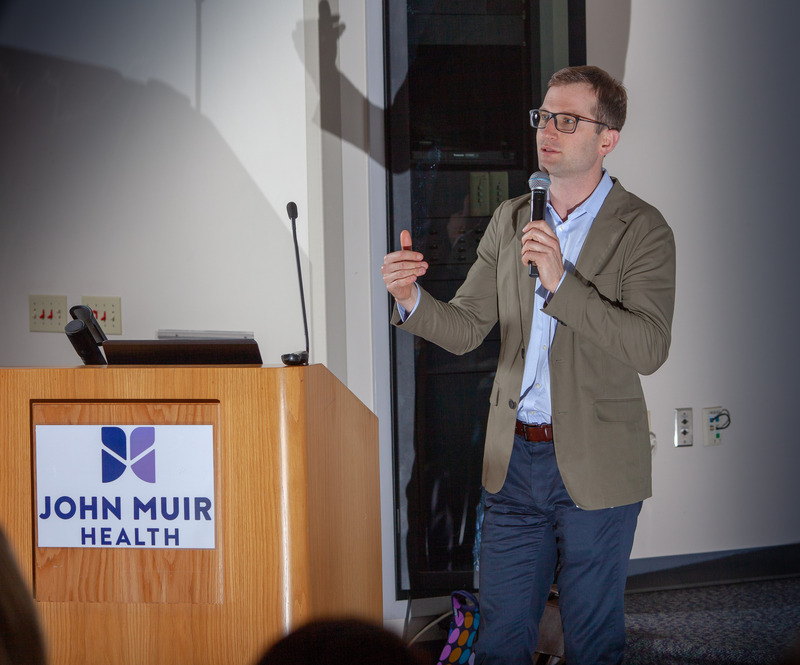 Dr. Merkow was featured in the “Neurosciences 2018 Spotlight” of the John Muir Health newsletter. He discusses several areas of his practice including less invasive spine procedures, deep brain stimulation for Parkinson’s Disease and essential tremor, and laser thermal ablation for brain tumor treatment. Dr. Merkow discusses The management of spinal trauma at the Annual Trauma Symposium at John Muir Health on April 19th 2018 (presentation to begin at 3pm). Dr. Max Merkow outlines the important clinical aspects of treating spine trauma patients. He emphasizes early surgical stabilization using minimally invasive techniques coupled with mobilization (as opposed to bedrest) in patients with unstable fractures. Dr. Merkow is a proponent of surgical navigation techniques using stereotactic workstations (see above); these methods allow patients to leave the hospital and get back to their normal lives faster than traditional treatments. Drs. Max Merkow and Steve Schadendorf presenting the pros and cons of treating Parkinson’s Disease with deep brain stimulation. In the November Journal of Neurosurgery: Spine issue, our neurosurgery colleagues publish a meta-analysis describing data that support internal fixation rather than fusion for common types of spinal fractures (lumbar burst fractures). This provides evidence for a less invasive means of treating spine fractures and maintaining good long-term outcomes. Read the abstract here. Drs. Max Merkow and Steve Schadendorf presenting the pros and cons of treating essential tremor (involuntary shaking of the body) with deep brain stimulation. Why does my back hurt? And what do I do about it? Dr. Merkow presented a seminar “Why does my back hurt? And what do I do about it?” to the Contra Costa Physician Assistant Association, Walnut Creek CA, on October 17, 2017. Dr. Merkow presented a seminar “The Surgical Management of Movement Disorders” in Walnut Creek and Concord, CA, as part of the John Muir Health CME Series, September 19 & 22, 2017. 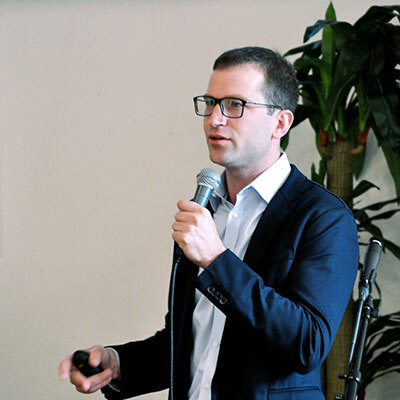 East Bay Brain & Spine Medical Group’s Dr. Merkow presented a seminar “DBS for Parkinson’s Disease: rationale, evaluation, and emerging technology” at Berkeley Unitarian Fellowship Hall(Berkeley, CA) as part of the PD Active Forum on September 9, 2017.